Today we took our time getting ready to depart. Per usual, Lilly got a nice walk before much else was completed. We strolled down to and through the marina – a great location really. Every once and a while I wish we lived on a houseboat – today was one of those occasions. Something about living on the water appeals to me. Maybe some day. 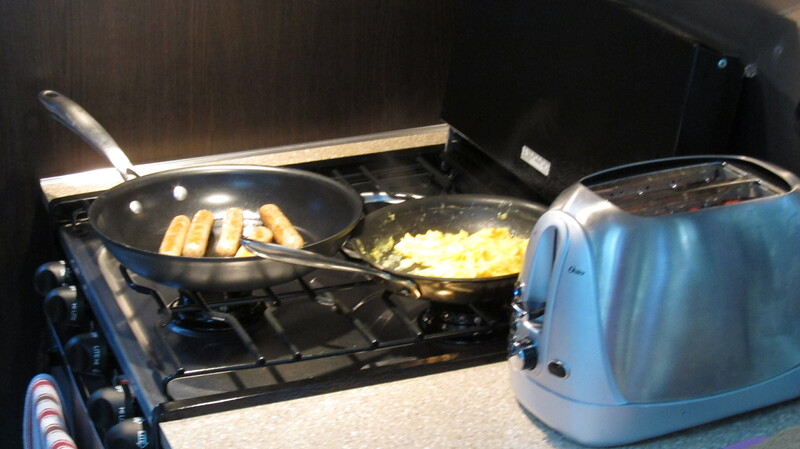 After returning from our walk, I began getting things ready for the road while Kelly made breakfast – eggs, sausage, and toast. It doesn’t get more staple than this. Sometimes less is more and in this case, a simple breakfast really hit the spot. The drive today was relatively straightforward, only about seventy miles but I was curious to see how our truck would handle the numerous high passes between where we were and where we were headed. There is one particularly big mountain pass on the way towards Oregon. At 4300 feet (ish) it is the highest point anywhere along interstate 5, and certainly the makings for a good “umph” test. 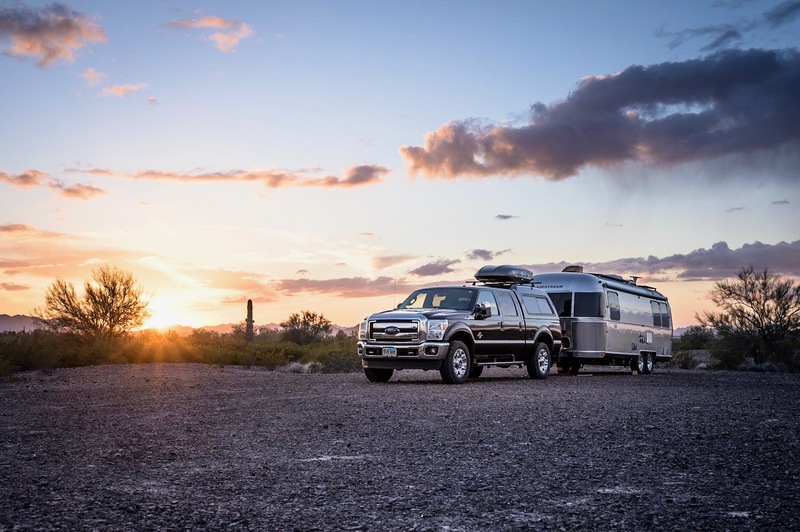 When we bought our Airstream the most stressful decision in that process was deciding what type of tow vehicle to get. After making about a dozen “final” decisions, we landed on a 2012 Ford F-150. Brand spankin’ new. I specifically wanted a half-ton, not a three-quarter ton truck as this is also my daily driver. There are many who evangelize the need for a massive truck, but there are also many touting the F-150 as equally fit for purpose when spec’d correctly. Upgraded towing features were a must in my mind as was the optional and relatively new ‘Ecoboost’ engine. A six cylinder engine designed to be a brute, the Ecoboost engine pounds out a whopping amount of torque and horsepower. The truck did fabulously over the passes. At one point We decided to stop in the town of Mt. Shast. I was craving and espresso and since Northbond Roasters – one of my favorite coffee roasters is located there, we pulled into town. I assumed there would be a hip little coffee shop I could drop into and grab my pull. I was wrong. Apparently these folks roast beans only, no hipster point of sale to be found. Total bummer. All wasn’t a total loss, the views of Mt. 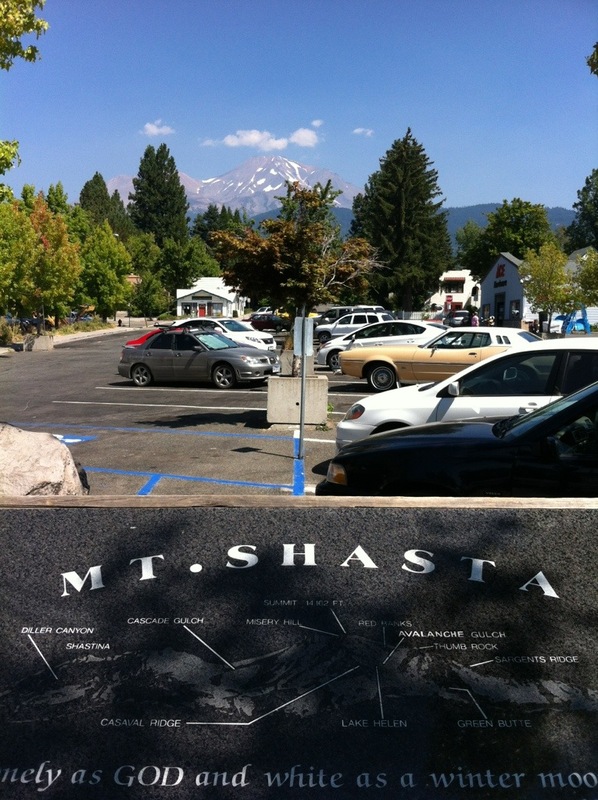 Shasta mountain were great today. After a bit of research, we decided to book two nights at the Glenyan RV park, located about five miles outside Ashland. The park is pretty nice – a mix of what appear to be full-time RV residents and travelers like Kelly and me. Full hook-ups will run you $34 per night and the place has a quasi state park vibe. Not too bad really. Like so many RV campgrounds, claims of available wi-fi are just shy of a boldface lie. Our Verizon broadband seems to be doing ok; a bit slow for streaming, but probably should fine for work purposes. If connectivity speed proves to be problematic, I’ll simply head into town and squat at a coffee shop as needed. We’ve been to Ashland many times – we quite like it actually. Often on our short list of Oregon towns to make residence someday (Portland and Bend being the other top vote getters), we almost always stop here whenever passing through. I’m looking forward to spending a few days in the area in order to more thoroughly test drive this place. I also cannot wait to visit Noble coffee shop. I so hope they are open tomorrow even though it is a holiday. Fingers crossed.